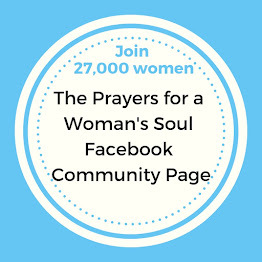 I'm currently on the home-stretch for my book on prayer for women! I finished the book about 8 weeks ago and have been working on self-edits since that time and hope to turn it in to my publisher (Harvest House) this week. Because of this writing deadline, and lots of swirling activity at the Gillies house which includes but is not limited to a freak fire-ant invasion inside my house, a sweet-16 party for my (youngest) daughter, 2 upcoming speaking engagements, a creepy spider conference on my back porch, and preparing for a house full of guests who will be arriving Thanksgiving week, I just haven't had time to write a blog post. So I'm taking this week off. If you can spare a prayer for my book, I will happily send you a year's supply of chocolate. Just kidding on the chocolate, but you can see my gratitude knows no bounds, even if my wallet does. So tell me, how is life in your neck of the woods? Are you working on anything interesting? And do you loathe fire-ants and spiders as much as I do? No fire ants here:)) Take all the time you need and make that book AWESOME!!!! We don't have fire ants, but I did have an invasion of ants in the spring! I loathe spiders also. We just went through two car accidents last week and some disturbing news from friends. It was a week from hell around here. I am trying to regain my composure and serenity as I pray unceassingly for peace and favor. I would love to know more about your book...cannot wait! Praying for you through your editing process (even if I don't get a year's supply of chocolate)! We're currently on vacation in North Carolina and I'm in full vacation/listening to God mode. I battled ants this fall at home. They were trying to escape all the rain by coming inside. Darn ants! I'm hopeful we won the battle. And the answer to spiders....I'm fine if they're outside, but not in the house! Breathe deeply and blessings to you during this time. 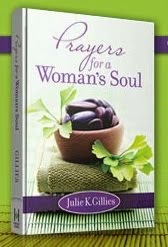 Praying for you, and cannot wait to read your book! Julie, I sure am sorry that there are so many creepy-crawlies in your life. Not fun. We are both physically sick and heartsick here, but holding on to God's promises. Praying for you and your book. 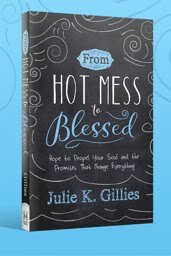 Lord, I ask you to bless and guide Julie through these final steps and hectic days, and to do it in a way that brings glory to You. Please be sure her book gets into the hands of those You intend it for. Definitely understand about needing a blog break. I'm excited for you and your book! 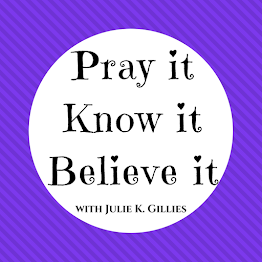 I know it will be wonderful, saturated with reverence for what our Father wants to share with His daughters regarding prayer. Sounds like its crunch time for you. I pray all goes well in getting your book turned in. My current blog post tells my news -- a blessing in my writing life!